July 2018. Hardcover and Paperback. 40 black and white illustrations and an index. Ebook also available. How did a Soviet Jewish dissident, raised an atheist communist, come to be a powerful voice on behalf of Russian evangelical Christians? […] It’s a true story of Cold War bravery and danger. In this memoir, replete with Jewish humor and sardonic Russian irony, exiled Russian journalist and human rights advocate Arkady Polishchuk colorfully narrates his evolution as a dissenter and his work on behalf of persecuted Christians in 1970s Soviet Russia. Told primarily through dialog, this thrilling account puts the reader in the middle of a critical time in history, when thousands of people who had been denied emigration drew international attention while suffering human rights abuses, staged show trials, forced labor, and constant surveillance. From 1950–1973, Polishchuk worked as a journalist for Russian state-run media and as an editor at Asia and Africa Today, where all foreign correspondents were KGB operatives using their cover jobs to meddle in international affairs. His close understanding of Russian propaganda makes this memoir especially eye-opening for American readers in today’s political climate. Through the course of the narrative, we are along with Polishchuk as he covers an anti-Semitic show trial, writes samizdat (political self-publications), is arrested, followed and surveilled, collaborates with refuseniks and smuggles eyewitness testimony to the West. The absurdity of his experiences is reflected in his humor, which belies the anxieties of the life he lived. Arkady Polishchuk’s memoir of life as a Russian dissident uses an icepick forged of sardonic wit and personal experience to pierce deep into the hide of the Soviet system. […] The book takes a sharp look at the dysfunction of the [U.S.S.R.], offering details that no one in the West could imagine. […] An important memoir by a fearless man. The author has a tenacious eye, magnificent sense of humor, and deep understanding of the realities of Russian life under the rule of both Nikita Khrushchev and Leonid Brezhnev. Even for me, who was an active participant in the dissident and Zionist movements in the USSR of those years, many of the events described here by the author were novelties. Dancing on Thin Ice is exciting and mentally stimulating reading. Dancing on Thin Ice is a book by a dissident about dissidents. Arkady Polishchuk helped to break the silence of Western politicians and to recognize the plight of persecuted Evangelicals in the Soviet Union. The memoir tells us about past events, about the KGB use of media outlets, but its subject certainly does not belong to history. It remains relevant today, while dissidents in different countries continue their struggle for human rights and liberty, their own and ours. Skillfully written and a page-turner, Arkady Polishchuk’s memoir is about making a free man out of a slave and about the price an individual is prepared to pay for his freedom in today’s tumultuous world. It helps to understand the processes taking place in modern Russia and its internal and external policies, including the aggressive attempts being made to revive Russia as a superpower. As an elite Russian journalist, Arkady Polishchuk rebelled and, despite facing formidable forces of the state secret police, found himself fighting the brutal regime. Among unique factors of his life were working with Soviet spies, attending anti-Semitic trials and at the same time collecting information on the persecution of Russian Evangelicals. Polishchuk’s is a unique story – a Russian Jew dedicating his life to help his Russian Evangelical friends, and even working for a time with an American Evangelical mission. – Vladimir Konstantinovich Bukovsky, author of To Build a Castle and Soviet Hypocrisy and Western Gullibility, and Russian opposition Presidential Candidate in 2008. The books that really stimulated thinking and kept me up at night countless times are those I take personally. […] I recognize the settings, I commiserate with people, I know how horrible it is to feel stuck there. I could not sleep after The Russians by Hedrick Smith; Putin’s Russia, by Anna Politkovskaya; and Dancing On Thin Ice by Arkady Polishchuk […] The depressing surroundings of Polishchuk’s life might be hard to believe for a Western person—but it is re-counted with such journalistic vision and style that reading the book is both enlightening and entertaining. Arkady Polishchuk is a graying, bespectacled Russian who came to Madrid to represent the 30,000 or so Christians of different denominations – Baptists, Pentecostals, Adventists, and others – whom he says wish to emigrate from the Soviet Union. The case of these persecuted Soviet Christians was raised during the human-rights debates at the Madrid Conference on European Security and Cooperation. Until Madrid, however, their plight has received far less publicity than the cases of repression against Soviet Jews or Soviet writers and scientists. Arkady Polishchuk (b. 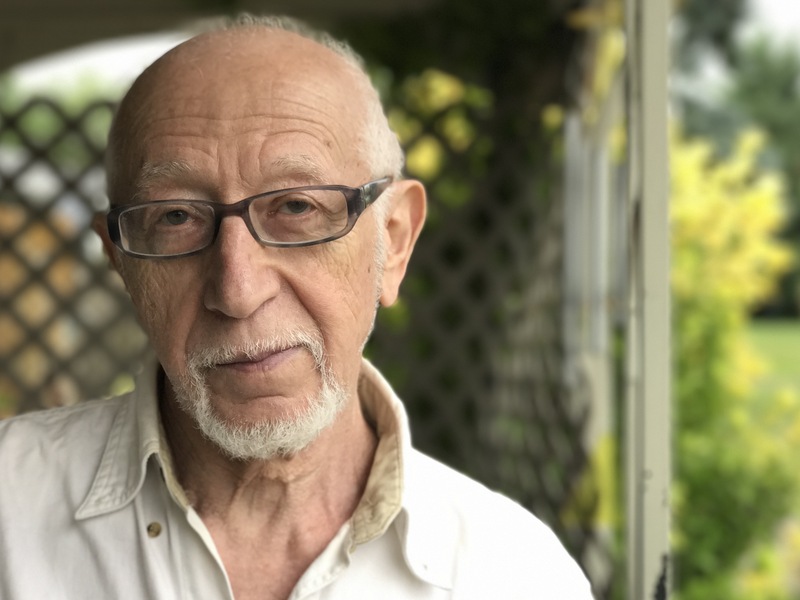 1930) is a Russian Jewish dissident and former journalist who has authored articles, essays, and satires for leading Russian periodicals, as well as two books about Africa. His writings have appeared in many publications in Europe and the United States including the National Review, Chicago Tribune, and Witness. Polishchuk was a broadcaster and correspondent for Radio Free Europe/Radio Liberty from 1985–2008 in Washington, D.C.; Munich; and Prague. For many years in Soviet Russian and later in the West, Polishchuk was heavily involved in human rights, including as a testimonial speaker for Amnesty International and working on behalf of 30,000 Russian Evangelicals trying to escape decades of persecution under communist rule. In 1981 he was awarded the British McWhirter Human Rights Foundation Award and has received numerous travel grants for his human rights activities as well as being covered by Life, the New York Times, Los Angeles Times, Nightline with Ted Koppel, and international publications. Polishchuk became a dissident in 1973 and spent several weeks in prison as part of a four-year campaign in support of Jewish and Christian emigration. When the Christian Emigration Movement was born after the Helsinki Accords in 1975, Polishchuk concentrated his human rights efforts on helping persecuted Christians – which included the dangerous smuggling of witness testimonies out of the USSR. Over several years he successfully petitioned for the right of Russian Evangelicals to emigrate and traveled to many European countries, to Canada and across the United States on their behalf. For two years he was the managing editor and spokesman for Door of Hope International, an Evangelical human rights organization focusing on religious persecution. He holds an advanced degree in Philosophy from Moscow University. Some of his experiences as a dissident in Moscow were covered internationally, for example, in this article by the New York Times from October 20, 1976.